At least 1 in 3 people experience symptoms of insomnia at some point in their lives. Insomnia is a condition that is characterized by problems either falling or staying asleep. 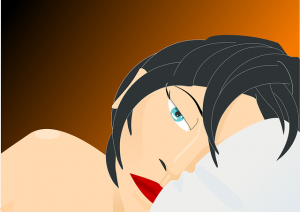 Those with insomnia often wake up in the middle of the night and have difficulty getting back to sleep. Other characteristics of insomnia include waking up earlier than desired in the morning and still feeling tired upon waking after a night of sleep. Insomnia can be categorized as either primary or secondary insomnia. People who suffer from primary insomnia experience sleep difficulties that cannot be equated with any other health or life problems. On the other hand, those with secondary insomnia can have sleep problems as a result of physical pain or specific medical or mental health conditions, medications they are taking, or substances they are using like drugs, alcohol or caffeine. Various life events can trigger acute episodes of insomnia. Experiencing major life changes like losing a loved one, going through a divorce, or moving to a new home can cause sudden changes in sleep patterns. Even less significant changes can disrupt sleep cycles including acute illness, changes in work schedules, medication or changes in the physical sleep environment. Generally, acute insomnia lasts for less than a few weeks. Acute episodes of insomnia can be sporadic, sometimes occurring a day or two at a time, with nights of restful sleep during the other nights of the week. Some individuals experience more chronic problems with sleep, having difficulty at least a few times a week for longer than a month. There are a number of ways to relieve insomnia. It is important to first start with a healthy, consistent bedtime routine, trying to go to sleep and wake at the same time throughout the week. Relaxation is a central part of the process, so activities like taking a bath, meditating, or engaging in another calming activity before bed can be very beneficial. Likewise, being sure to get adequate exercise during the day is an important part of being able to effectively wind down for sleep at night. Minimizing alcohol and caffeine, especially in the evening, along with avoiding large meals later in the day can have a positive effect on sleep patterns. Many individuals are looking for alternatives to prescription medications to help with symptoms of insomnia. Natural supplements like magnesium, melatonin and valerian are known to be helpful in promoting relaxation that contributes to improved sleep. Using a ‘white noise’ device can block out surrounding sounds, creating a more relaxing environment for sleep. Keep in mind that it is important to discuss ongoing sleep concerns with a qualified health care professional.